Retreat, Interrupted is my story for the Summer Romance on Main Street boxed set. In this book, I return to my fictional town of Lake Willowbee. Cassie Stone is a failure. At least, she feels that way. She is a writer who hasn’t written in two years. She’s lost her publisher, her agent, her friends. Now, she returns home to Lake Willowbee to bury her father and take care of her mother, who is slowly losing her mind to Alzheimer’s. Ben Bridges is the chief of police and mayor of Lake Willowbee. His town is dying and its only hope is Cassie Stone and the book festival, the highlight of the summer. With all she has on her shoulders, can he add saving the town? Is Cassie the teenager he remembers who ran away at the first opportunity, or has she become the woman he can rely on, he can fall in love with, who will stay? My cover artist, Elaina Lee, of For The Muse Designs, has created another beautiful cover. 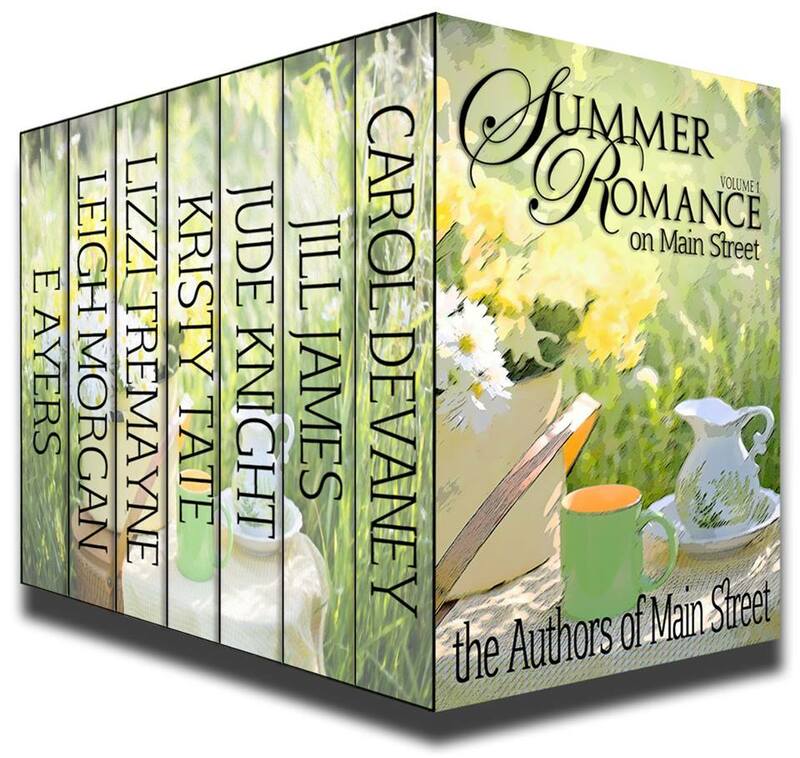 This entry was posted in Jill's Posts, Uncategorized and tagged boxed set, jill james, Main Street, retreat interrupted, romance, Summer Romance, writers. Bookmark the permalink. Sounds wonderful, Jill. Looking forward to reading all the summer stories! Me, too! I’m getting excited. Your cover artist does a great job. This looks like a good read! Thanks, Susan. Can’t wait to read everyone’s story. This looks good! I am so looking forward to this set. And writing about a writer must be fun. Yeah, getting into her head was easy!! Love the Lake Willoughby books! 🙂 The set should be a blast! Another great Lake Willoughby book. Looking forward to reading it and other new stories! Love the cover.